The community of Mount Pleasant is the type of place where neighbours know each other by name, where children play safely in local parks, and where charming homes create the small town feel that home-buyers will fall for. Nestled within a vast natural environment, Mount Pleasant is surrounded by forest trails, acres of parkland, natural wetlands, and wildlife. Your family will fall in love with the great outdoors! 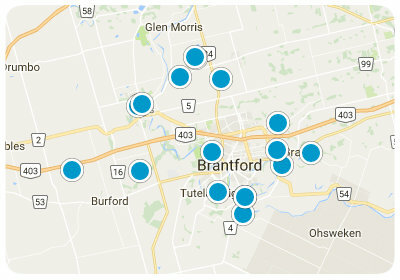 With Brantford just minutes away, Mount Pleasant offers all the amenities that are important to you and your family. Real estate options are abundant within the community of Mount Pleasant. From affordable to high-end prices, there is a home for everyone. Enjoy the beauty and uniqueness of Mount Pleasant homes, as old brick exteriors and spacious front porches charm the neighborhood. Whether walking along the trail, relaxing with a coffee in a cozy cafe, or enjoying the bright autumn colours that wraps the area like a woolen sweater, you will soon realize Mount Pleasant culture is uniquely captivating and will make you want to immerse yourself in it time and time again. To learn more about the wonderful real estate available in Mount Pleasant please contact us today.